Our hotel puts you near shopping, culture, sport and entertainment. Its spacious rooms are uniquely styled to give comfort and all the needs of each traveler expects encontrar.Contamos with everything you need for your business or private meetings. Our comfortable rooms convey the color and warmth of Mediterranean style providing a warm atmosphere. We have air conditioning, heating, telephone service with national and international direct dialing, mini bar, electronic safe, cable TV and Internet access free of charge in all rooms and a complimentary Business Center available 24 hours day. It has two rooms, spacious room with king size bed and office. It has two rooms, spacious room with king size bed or 2 beds and living room. Room with king size bed or 2 beds. 1 or 2 bedroom / dining room, fully equipped Kitchennette. 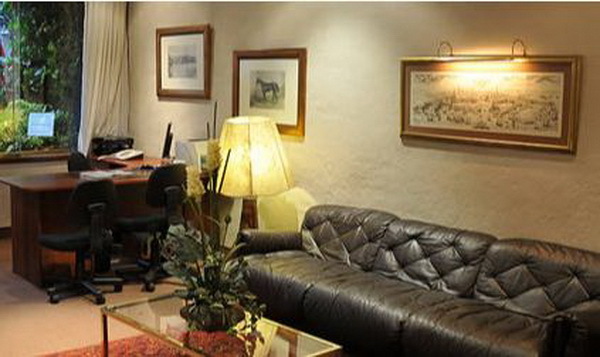 The County Hotel has a privileged location within the district of Miraflores. You can choose either of our two locations, strategically located within the resort, Financial and Cultural de Lima (cinemas, theaters, restaurants and shopping centers).